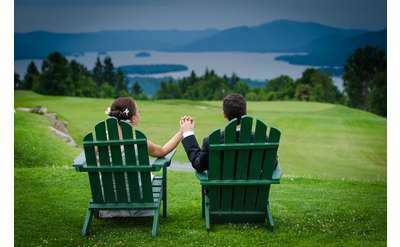 Searching for an experienced wedding photographer or videographer in or near Saratoga Springs? Someone you can trust that your special day will be captured for a lifetime? Search no further! All the Saratoga professionals listed here specialize in weddings. Whether it’s an engagement photo to announce your pending nuptials or a full-day of wedding video or photography, contact one of the wedding vendors listed below to learn more about their packages and pricing, or to schedule a consultation or photo shoot! Experienced and professional Lake George and Adirondack photographer. Jim McLaughlin of McLaughlin Photography has photographed over a thousand weddings. With a love for the outdoors and an eye for creativity, he has the experience and imagination to capture your most important memories in a special, personable way. Intimate wedding, elopement, and lifestyle photographer based in Saratoga Springs, NY. 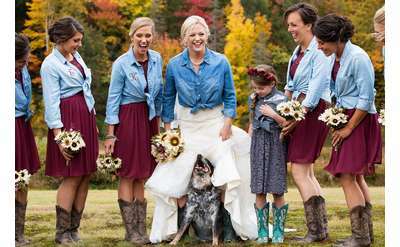 Trisha Millier Photography in Saratoga Springs, NY, specializes in candid, journalistic weddings and elopements, as well as relaxed portraiture. She is available for events throughout New York, New England, and beyond. Servicing the Capital Region and surrounding areas as well as NYC, Eastern Massachusetts and Southern Vermont, the Smile Lounge Photobooth NY offers a unique and custom experience unlike any other photo booth service. 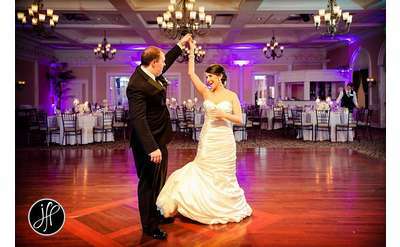 At Niki Rossi Photography we offer a fun, photojournalistic approach to your wedding day. Tons of candid shots as well as the necessary formal shots. Engagement Photography and Boudoir Photography in Saratoga Springs and beyond for the Trendy Lady.